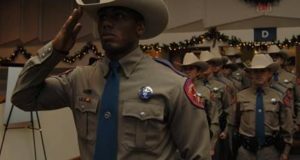 Texas Department of Public Safety (DPS) Director Steven McCraw today was joined by members of the Texas Public Safety Commission (PSC) as the department commissioned 97 men and women as the state’s newest Highway Patrol Troopers. Major General John F. Nichols, the Adjutant General of Texas, was the keynote speaker during the recruit graduation ceremony held in Austin. The D-2017 class, which is the department’s 162nd recruit school, included 18 women, 16 former peace officers and 36 military veterans. The oldest graduate was 42-years-old and the youngest was 21-years-old. The class suspended training for a week to assist disaster relief operations in downtown Houston during Hurricane Harvey. They also raised money for school supplies for an Austin elementary school and law enforcement families who had a loved one killed or injured. There were recruits who moved to Texas to join the Academy from 11 different states, and this is believed to be the highest number of women graduates in one class in the department’s history. The Troopers began the 24-week training academy in July. Instruction covered more than 100 subjects, including counterterrorism, traffic and criminal law, arrest and control procedures, accident reconstruction, first aid and Spanish. They also received training in use of force, communication skills, firearms, driving, criminal interdiction, cultural diversity and physical fitness. On Jan. 1, 2018, DPS will begin accepting applications for recruit classes scheduled to begin in 2019. The application deadline is March 14, 2018, for the class beginning Jan. 6, 2019. Are you up to the challenge? To apply or for more information about joining the legion of brave and outstanding officers at the Texas Department of Public Safety, visit www.joindps.com. In addition, DPS schedules recruiting events throughout the year. 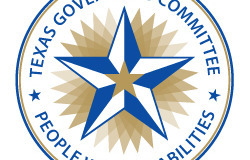 To find an event in your region, visit http://dps.texas.gov/trainingacademy/recruiting/recruitingEvents.htm#.